The food from the cafe at Bradgate park, Leicestershire is well underway. The amount of food waste is kept to the minimum. these eight 5l kitchen cadies were filled over last weekend. 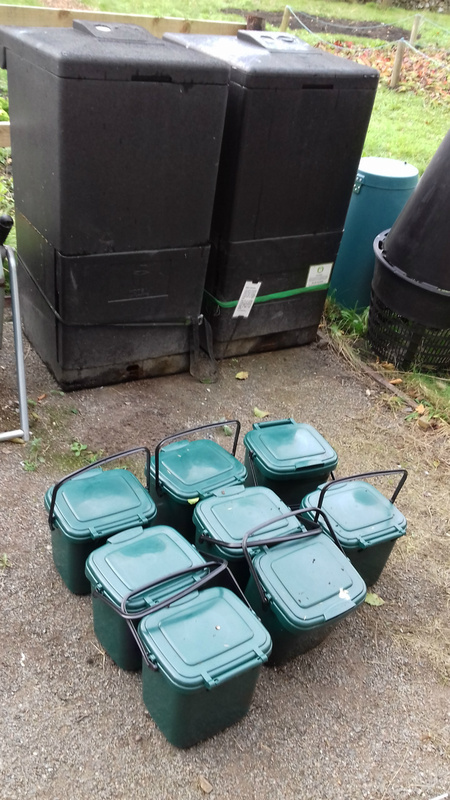 Two the compost bins being used, in this case Hotbins, are also shown. The bins are currently running at 44-46C. Wood chip from the park is being used as a bulking agent.